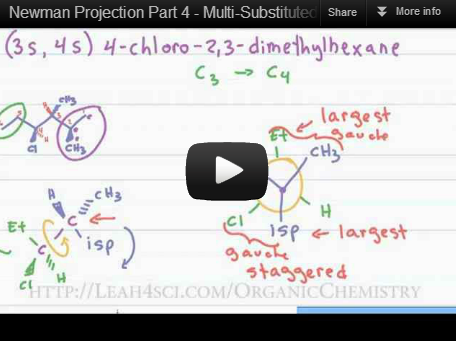 Newman projections are important in organic chemistry to help you understand one aspect of molecular conformations. 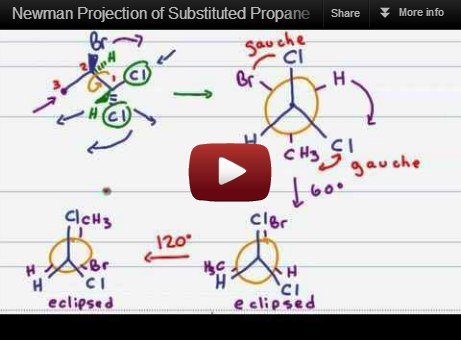 These videos will help you understand everything from Newman projection basics, how to convert Newman to other forms, how to analyze the energy of particular conformations, and of course how to draw an energy diagram. 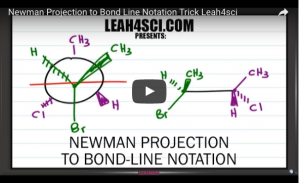 This video teaches you my logic-based trick to quickly turn a Newman Projection into a bond-line notation or skeletal structure without the need to rely on your model kit. 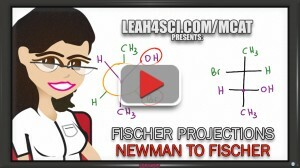 This video shows you how to convert from a Newman Projection to a Fischer projection using the long and tedious method followed by my shortcut. 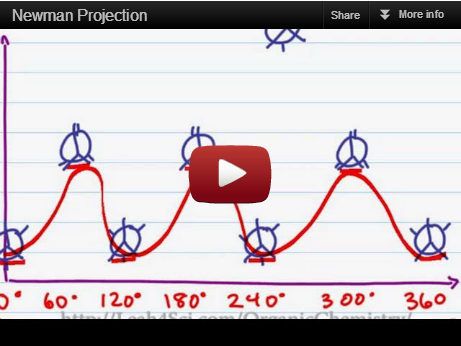 Chair Conformations is another important conformational analysis topic! Would a Model Kit help you? I use/recommend the Molecular Visions Model Kit. 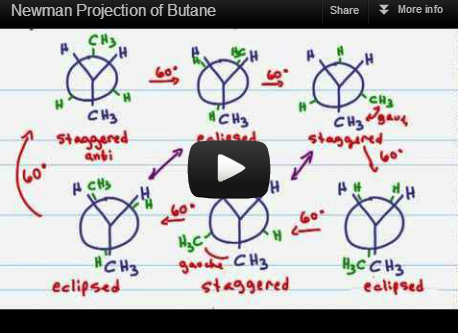 Here’s my unboxing video of this model kit: How to Use Your Organic Chemistry Model Kit.